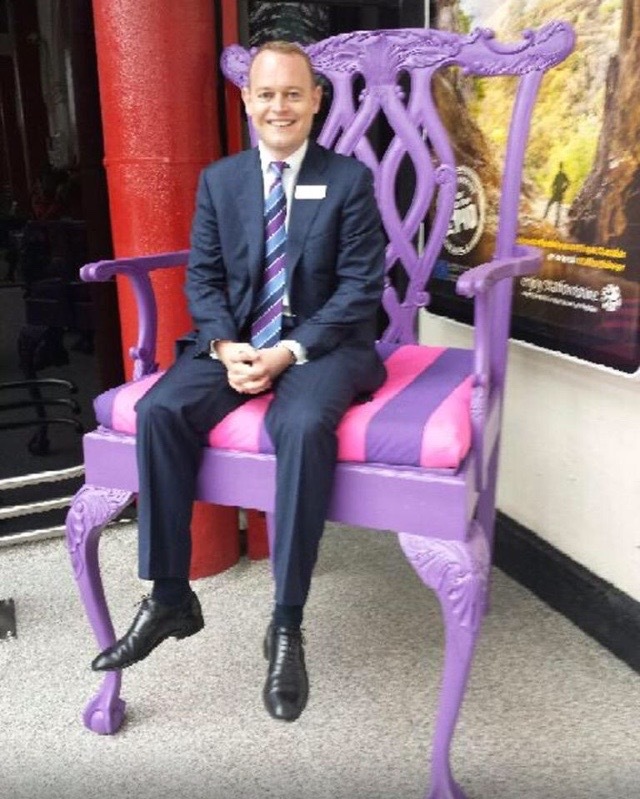 This is a picture of Northern Rail's MD, Alex Hynes, sat on a giant chair at Lime Street Station. I have nothing more to say. I just thought it was important to share it. It might be a normal-sized chair and Hynes is just really small.